Somewhat controversially, Peter Jackson’s first Hobbit film was my least favourite of last year. Says a lot about him as a filmmaker and my love for his Lord of the Rings films that when a mate told me that there was a trailer up for The Hobbit: The Desolation of Smaug, I felt the need to check it out ASAP. My verdict? I’m just not sure. I really want it to be amazing. I still have this horrid fear that it will be bloated and plainly drawn out far too long. I definitely won’t be seeing it in the turgid 48 FPS that Jackson seems to love, but even so, the visuals look a little cartoonish just in this trailer. Let’s hope Jackson gets it right this time though. The teaser of Smaug in this trailer definitely leaves me wanting more. Oh man, Cumberbatch’s voice work here is phenomenal, so epic. 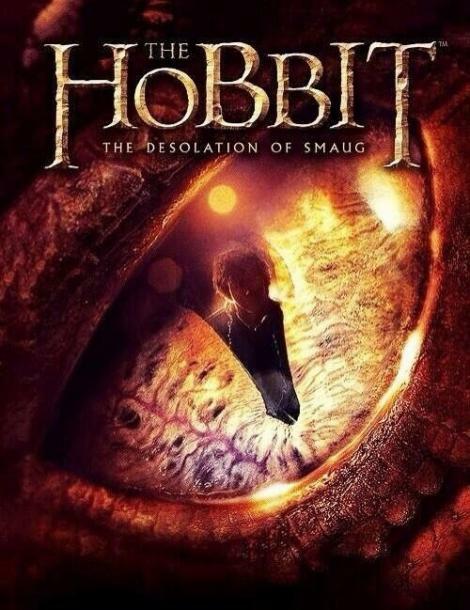 I loved the first Hobbit, so I have high hopes for this. Cumberbatch is on quite the roll at the moment. Going to continue with a new series of Sherlock not too far away which I am psyched for. I never saw the first Hobbit film. I wasn’t a huge fan of LOTR and turning a shorter story into a trilogy just reeks of milking cash out of fans. I liked the LOTR films, but I agree 100% entirely on The Hobbit. And the first Hobbit film feels exactly like that. You can tell the story has just been stretched beyond breaking point. I don’t know. I saw The Hobbit last year and just wasn’t blown away. I LOVED The Lord of the Rings, but really feel that The Hobbit could have been done in a single movie over three and a half hours or two two hour movies if they really wanted to split it. I was not enamoured by the film, sadly. Agree entirely. Just stretched the story that is there way too far. I think it has got to the point where Peter Jackson has become so successful that no one can say no to him. He definitely needed reining in on the first Hobbit film. Hopefully he turns it around for the second one, but it is hard to see how. I don’t know how. I really feel that The Hobbit could have successfully been done in one 3.5 hour film or two 2 hour films… and that is being overly generous. I suppose we will see what comes, but I doubt this trilogy will ever make it even remotely into the books like The Lord of the Rings.